April 26, 2016 May 17, 2016 Daniel Gouré, Ph.D. It is a core principle of the U.S. military that you must train as you fight. One of the enduring advantages the U.S. military possesses is the quality of its personnel based largely on their training. 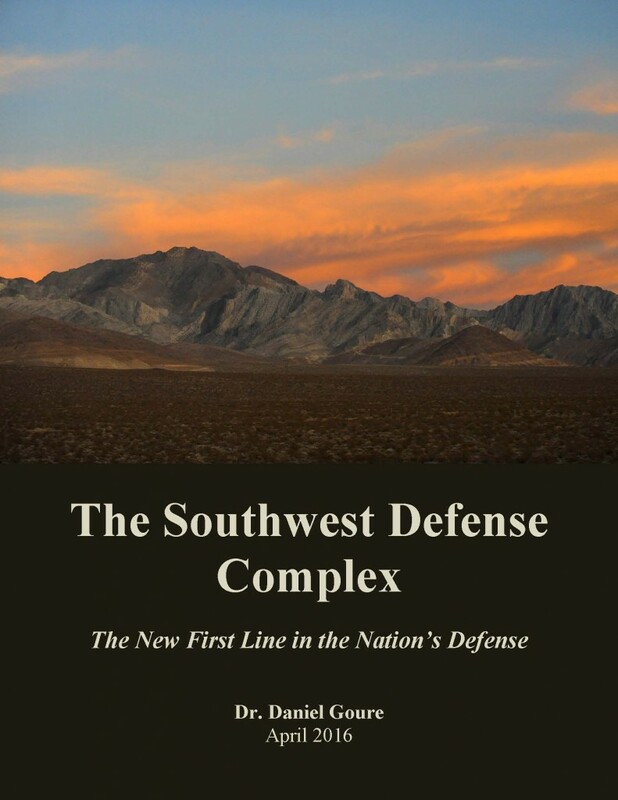 Maintaining this advantage will depend heavily on access to a set of training, test and experimentation facilities that are part of what is called the Southwest Defense Complex which resides in six southwestern states: Arizona, California, Nevada, New Mexico, Utah and Texas. The Complex contains some of this nation’s most sophisticated laboratories, defense industrial facilities and military bases allowing for the development and testing of many of the systems that won the Cold War. The Complex is a true national treasure on a scale equal to that of the National Park system. The Southwest offers over 335 million acres of federally owned land. Some 490,000 square miles of restricted airspace and 484,000 square miles of sea are available for training activities. Its land, sea and dedicated air space provide a unique training environment unparalleled in the Free World. The Complex provides the only open instrumented land and air spaces in the United States of sufficient size to permit large-scale joint experiments and training activities. Many allied nations do virtually all their pilot training in the Complex because they lack similar open spaces in their own countries. The Southwest Defense Complex’s contribution to the U.S. military’s warfighting capabilities, military readiness, test and evaluation, and research and development is unparalleled. Yet, given the fragmented way the Pentagon, Congress and the public tend to think about defense assets, they lack an adequate appreciation of the importance of this complex to U.S. national security. As pressure grows to address looming defense budget shortfalls through cuts to forces, readiness and infrastructure, the value of the Southwest Defense Complex as a whole is in danger of being underestimated. Pressure is growing for another round of base closures and realignment of facilities. Consequently, over time, the Complex could be weakened and even dismantled. Preserving the array of unique facilities in the Complex and expanse of air and land critical to realistic testing and training will be of vital importance to U.S. security in the 21st Century. It is vitally important that the panoply of facilities and controlled spaces that are part of the Southwest Defense Complex be protected from encroachment, excessive regulations and prospective budget cuts. Once lost, these facilities and ranges cannot be reconstituted. 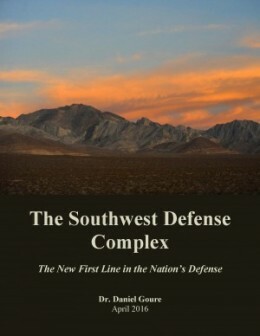 Click here to watch a video about the Southwest Defense Complex.